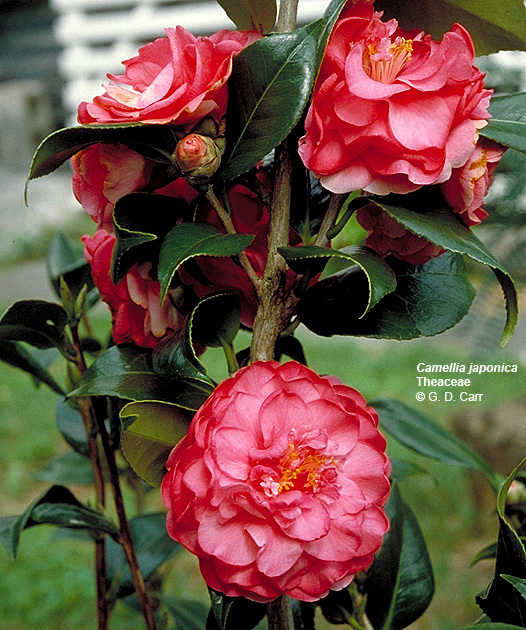 Camellia japonica. This is a good example of a showy cultivar but it does not reveal the normal floral features. 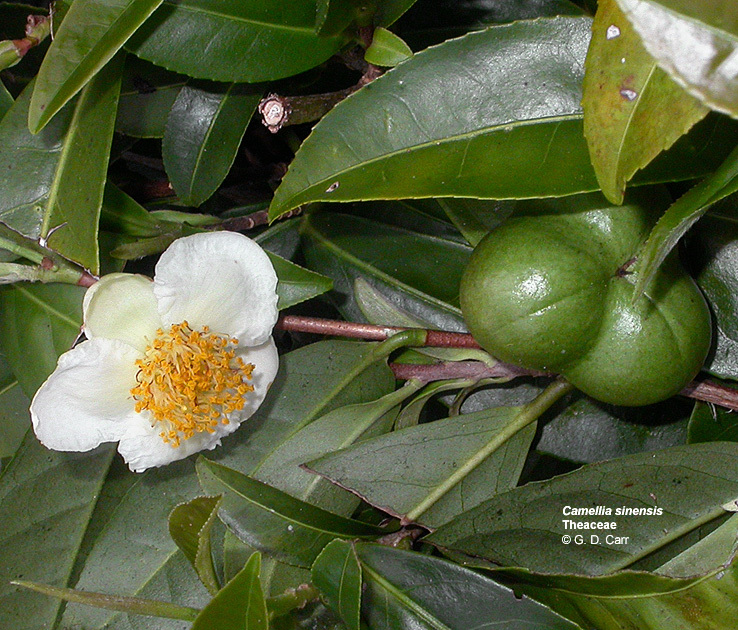 Camellia sinensis, tea. 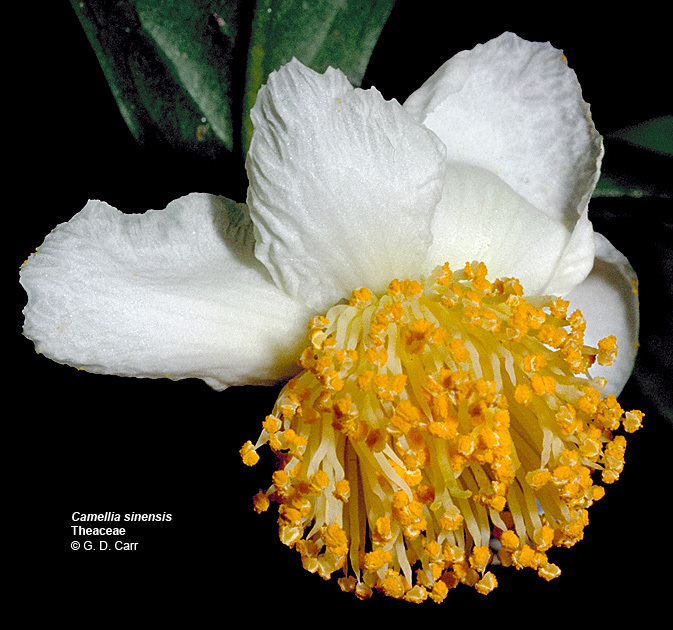 This example shows the numerous stamens typical for the family. 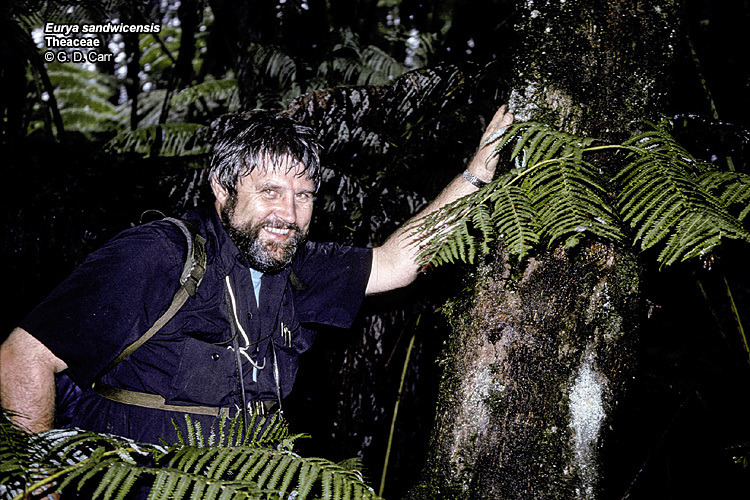 Also visible is the tricarpellate fruit. 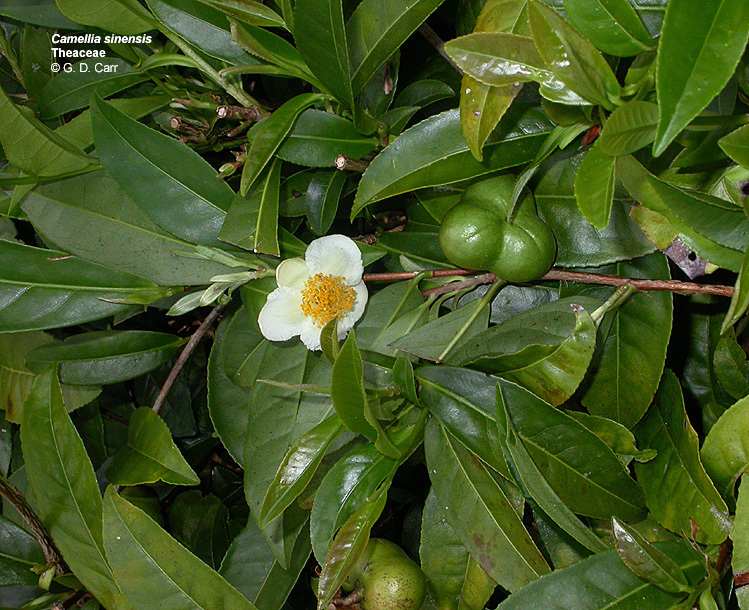 Camellia sp. 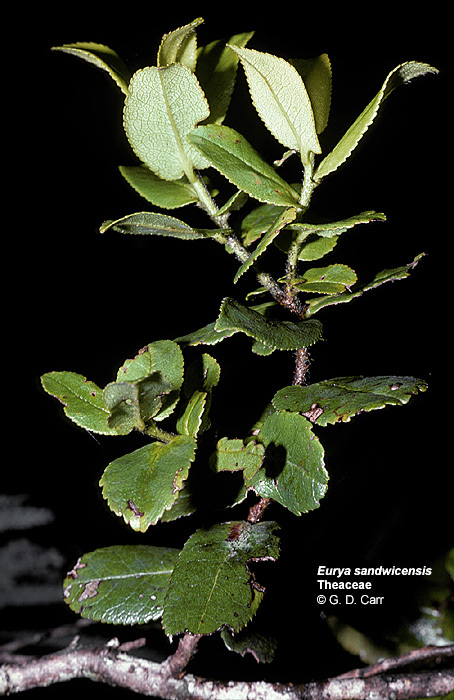 In this photo the perianth has been removed so the numerous stamens are more evident. 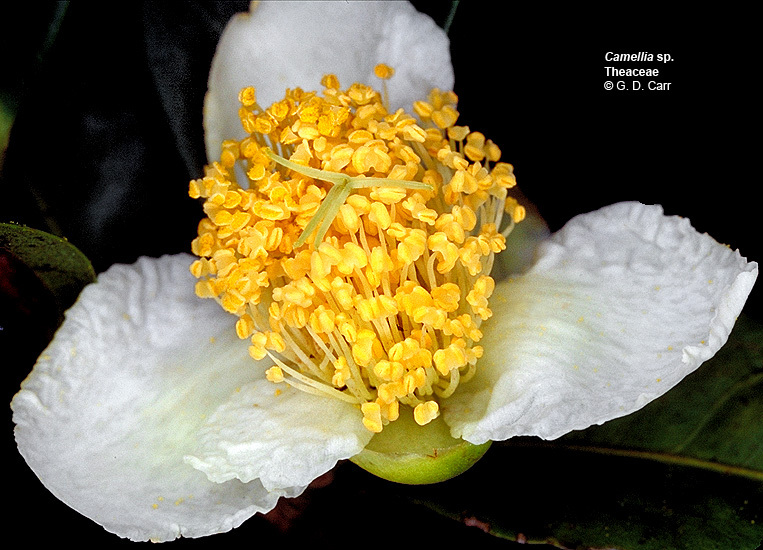 Close inspection will reveal the pistil in the center of the cluster of stamens. Four or five style branches are also visible. 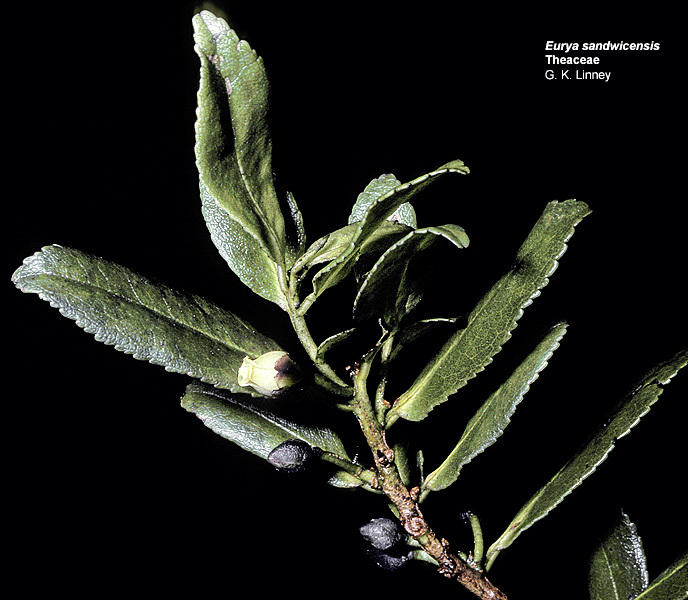 Eurya sandwicensis, 'anini, wanini, The leathery leaves of this Hawaiian endemic species are typical for the family. 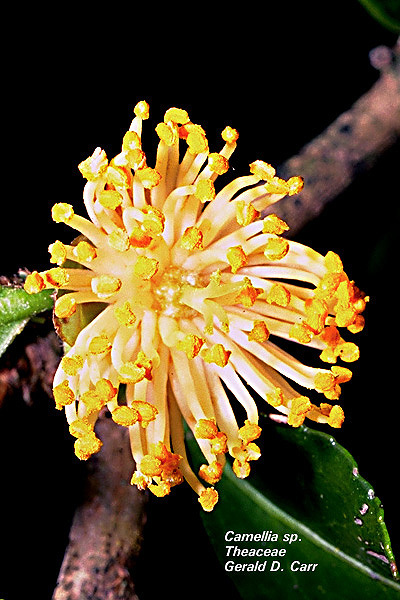 However, its flowers are unusual in being unisexual. 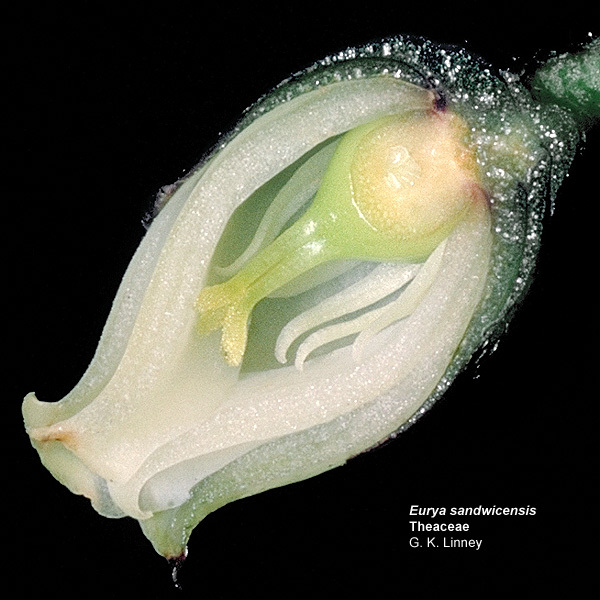 The lower photo is a longitudinal section through a female flower showing staminodes and a well developed pistil with distinct styles.